The Independent Education Consultants are an UCAS Centre, we can support you through the whole process of making a UCAS application, including help with choosing the right courses at the right University, advice on writing your personal statement, writing your reference and preparing for any interviews or university Open Day visits. Sometimes parents and teenagers, in tandem with support from their school, feel they can handle most of the UCAS application themselves. However, it is usually writing the personal statement draft and proof reading it, which presents the biggest challenge. Schools do a great job with this, but often with 100’s of students to advise in each academic cohort, access to a great deal of time for your teenager is perhaps unrealistic. Working in tandem with the school to give your teenager a head-start is where our team of consultants can make a real impact. For this reason, our personal statement framework and review of draft service offers access to support from one of our consultants with just this element of the UCAS application. Whatever your choice of course or university preferences, this can be a very cost-effective solution to the writer’s block which often occurs when writing personal statements. In this way parents can secure advice from one of our consultants, in a very targeted and specific way. A Level Results day is an exciting time for those who have made their grades and can start to look forward to the next stage of their education at a British University. However, for those who do not receive such welcome news on A level results day, this can be a challenging, confusing and stressful time. If you find yourself in the situation where your A Level results and hence your UCAS University offers are in doubt come results day in August, why not give our team of friendly consultants a call? The sooner you do this, the sooner we can share the worry and help you put a plan in place so you can look positively towards the future. Experts in supporting teenagers with handling their alternative University options through UCAS Clearing, our education consultants offer independent, professional advice to make this process as stress free as possible. Due to tuition fees, attending University is now a significant investment. It is important to only accept a place on the right course at the right University, as mistakes can be costly later. Our consultants can help you to review your back-up university choice, alongside reviewing new potential course options, supporting you through the UCAS Clearing process. For some, withdrawal from the UCAS process and considering A level re-takes might be the right solution. For others, taking a gap year to gain some work and life experience could be the right path. Whatever the solution, our consultants can help you to consider all of your options and make a considered decision on the best way forward. 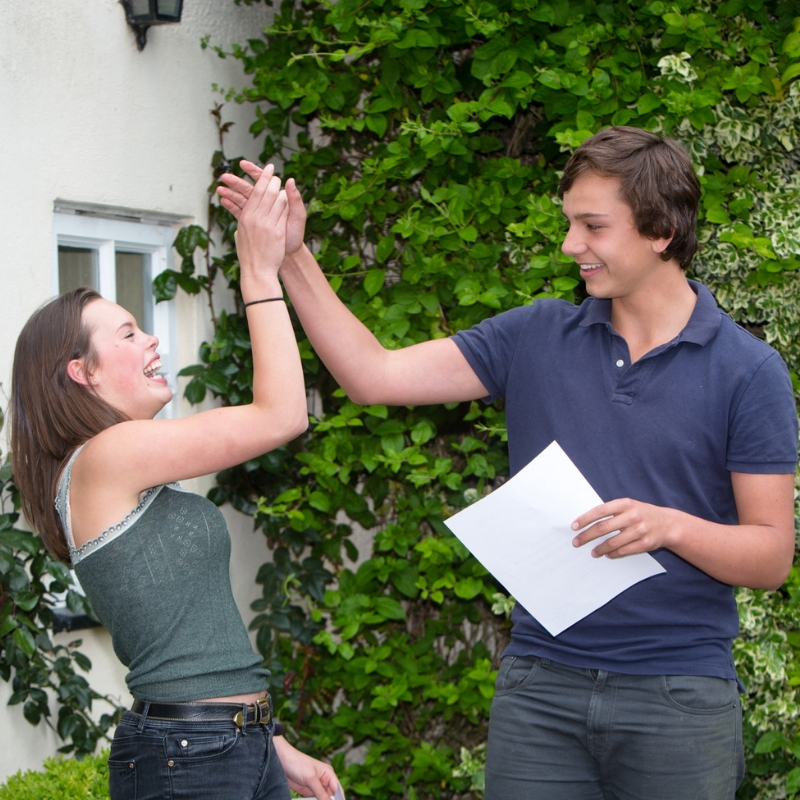 A Level Results – Need to re-sit? Fingers crossed you will have cause to celebrate in August, when the A level results are published. If so, congratulations! However, should you find your A Level results are not as you hoped, you may well find yourself feeling confused about the best solution to keep you on track to achieve your future career goal. Our team of friendly education consultants have, over the years, advised and supported hundreds of teenagers at this tricky time. Whatever your situation, you may feel your world is coming to an end. However, chances are, our team of consultants will have experienced it all before. We will offer you a friendly listening ear, an independent viewpoint, as well as helping you to find the right solution to meet your individual aspirations. It may well be that considering re-takes of some or all of your A Levels is what you require. We will advise you on how to select the right independent Tutorial College and help you to review the courses on offer, as well as assist with the application process for your chosen Tutorial College. Then, once you are back on track, we will also help you make a fresh University application through UCAS, once you have secured the grades you require via re-takes. We’ll also assist you to plan and apply for work experience, as well as help you to make the most of your un-anticipated gap year. We were contacted by worried parents concerned about their daughter. It was September and she was about to start her second year of a degree course even though she had doubts that it was the right course for her. They were looking for independent advice on changing courses. Their daughter was bright, but struggling to know where to focus her education and how this might lead into a future career. Our consultant worked closely with the student to identify why she wasn’t enjoying her course. Together, they established that the course lacked sufficient intellectual stimulation for her and so looked at other course options. Whilst working closely with the daughter, our consultant kept parents in the loop, explaining the reasoning behind the chosen path and then supporting them through the process of leaving university to change course. Bearing in mind the time of year, speedy decision making and action was a must. Within three weeks of the initial consultation with our consultant, the student applied, interviewed for and accepted a place at Cardiff University to read English and Philosophy. Her parents were delighted in their daughter’s renewed enthusiasm and motivation as their daughter threw herself into her new course with great success.